Oh! I have dreamt scenarios where I was on stage receiving an award giving a long emotional speech ending with a thunderous applaud. Thank you, Susan, at myloudbipolarwhispers.com for nominating me for the “Sunshine Blogger Award.” thank you wordpress, thank you everyone here for making me want to write more and for making a small part of my dream come true. Please do check Susan’s blog I am sure you’ll love it and also learn much. I am so late in accepting but I am so happy and blessed, thank you a thousand times. How old were you when you were diagnosed with mental illness or other types of chronic and/or invisible illness or grief? That’s a very difficult one because I have so much to choose from if I still have to choose the top would be family, friends, and books. When was the last time you experienced mental illness stigma or any other type of stigma or discrimination? Major one less than a year ago. Claimed to be blind* visually impaired because I use a stick. Many, much more that gets my blood boiling every time I remember them. I like the crunchy type. I look forward to all seasons, weird that way. – 6-7 months now I think. 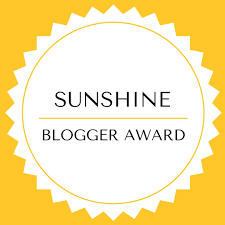 Here are the amazing eleven I nominate “The Sunshine Blogger Award”; a small token of love and appreciation. This is my list of a few of the amazingly wonderful people from the thousand I have yet to visit, read and fall in love with the words countless times.As for the questions please answer about thing others would never guess about you, in the questions of your choice. BE BETTER VERSIONS OF YOURSELF THIS NEW YEAR. FALL, LEARN, CARRY ON, REPEAT. Congratulations, Srijana keep it going. Thanks srijana.. for nominating me. Will get back. Thank you for nominating me! It means a lot to know that my writing resonates with you. And thank YOU, Srijana.. it’s nice to be listened too, isnt it. And looked for, as I look forward to your reflrctions.